Preheat oven to 275 F. Place the almonds, cashews and coconut flakes in a food processor or blender and pulse a few times to break into smaller chunks. Melt the coconut oil, raw honey and vanilla extract together in a medium sized mixing bowl. Add the seeds, nuts and coconut flakes and stir to coat. 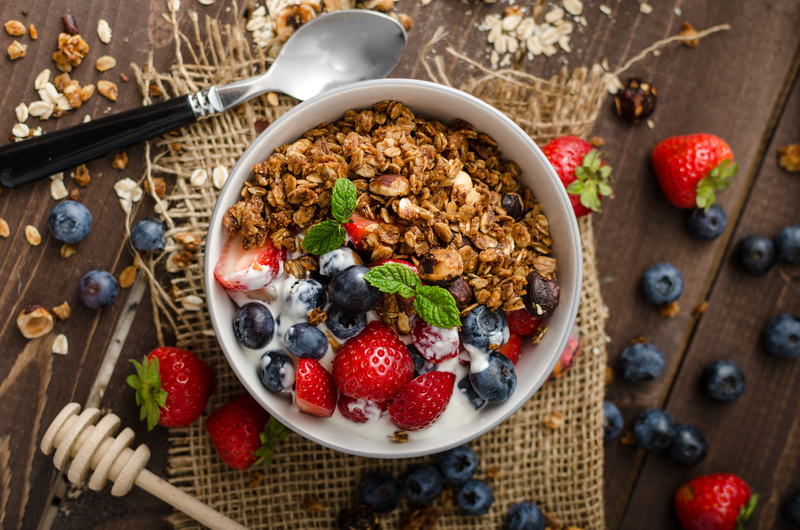 Spread the granola mixture evenly onto a baking sheet lined with parchment paper and cook for about 20-25 minutes or until lightly browned, stirring once or twice. Remove from heat and add the raisins and sprinkle with sea salt, pressing the mixture together to form a flat surface. Allow to cool for about 20 minutes or until hardened, and then break into chunks and enjoy.